In this work, we propose a novel large scale dataset of digital paintings. The dataset consists of paintings from 91 different painters. We further show three applications of our dataset namely: artist categorization, style classification and saliency detection. We investigate how local and global features popular in image classification perform for the tasks of artist and style categorization. For both categorization tasks, our experimental results suggest that combining multiple features significantly improves the final performance. We show that state-of-the-art computer vision methods can correctly classify 50% of unseen paintings to its painter in a large dataset and correctly attribute its artistic style in over 60% of the cases. Additionally, we explore the task of saliency detection on paintings and show experimental findings using state-of-the-art saliency estimation algorithms. The data set consists of 4266 paintings from 91 different artists. Some examples ar eprovided in the figure on the top, together with the painter and style label. Below the full list of painters with the number of images respectively in our database. 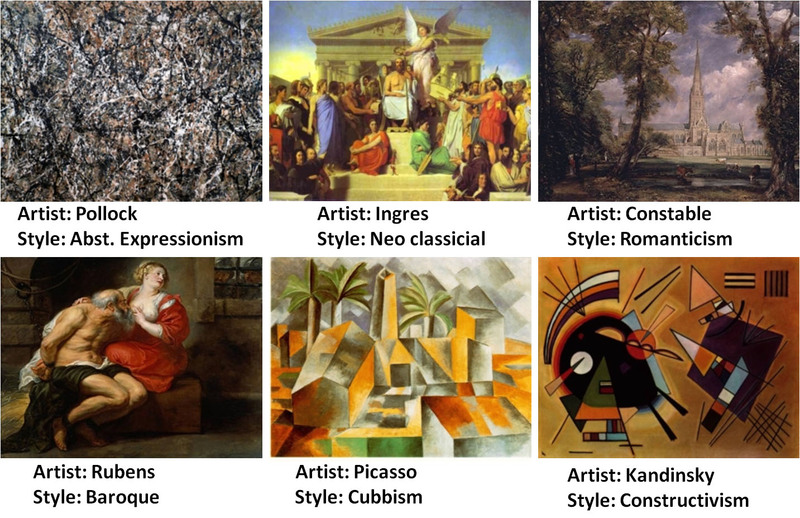 Fahad Khan, Shida Beigpour, Joost van de Weijer, Michael Felsberg, Painting-91: A Large Scale Database for Computational Painting Categorization, Machine Vision and Application (MVAP), 25(6):1385-1397, 2014. 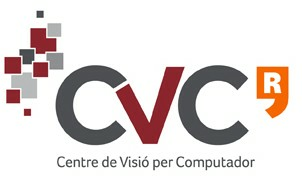 If you are interested to work on the data set or eyetracking data please send an email to fahad@cvc.uab.es.